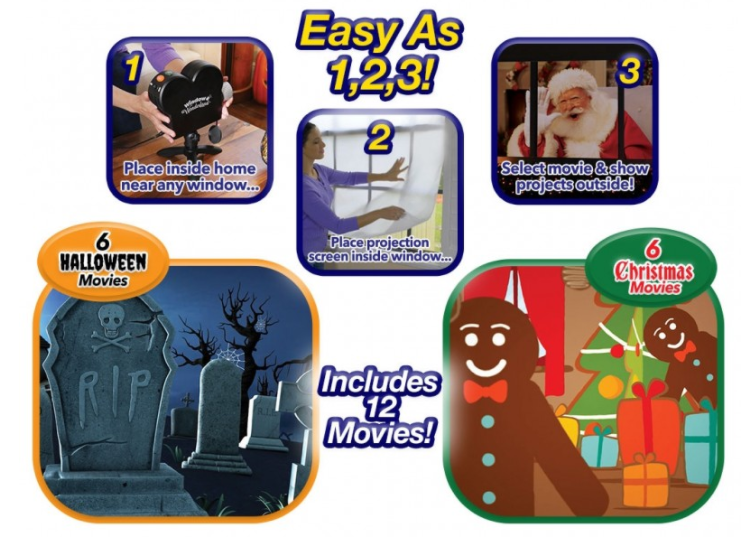 Fun & Practical Holiday Gift Ideas! Anytime I can get something that makes cleaning easier, I am a happy recipient! So if you have someone on your holiday gift list like me this year, then let me introduce you to the Hurrican Spin line of cleaning products that will change the way you clean and provide an easy method for cleaning! I HATE cleaning the bathrooms but now I have just a little bit of fun (and a lot more ease!) using my Hurricane Spin Scrubber in the bathroom. Cleaning your tub and tiles is back breaking work. Not anymore! Introducing the Hurricane Spin Scrubber. 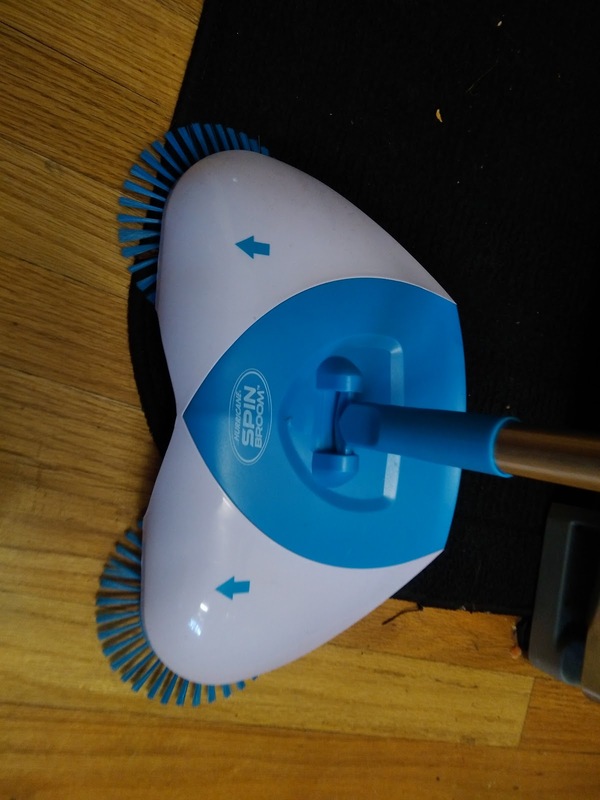 The amazing power scrubber that does the hard work for you - Fast! 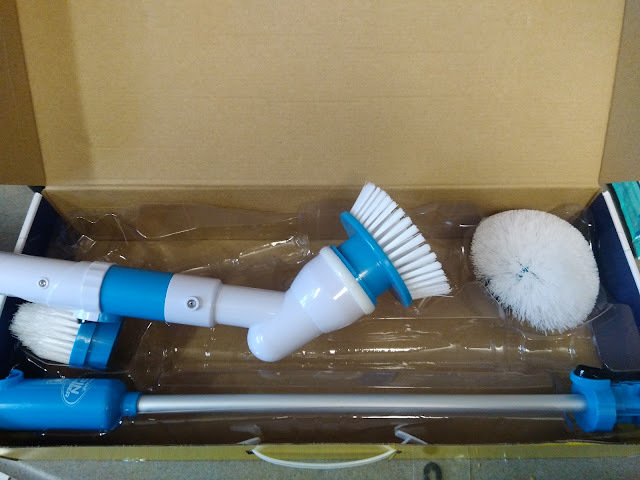 Just pop on one of the 3 included scrubber brushes and watch as Hurricane Spin Scrubber's cyclone power cuts through soap scum and grime easily. Plus, with the included Extension Pole, you'll be able to stay clean and dry outside the shower and reach behind toilets without bending. I have always dreaded cleaning my shower because I get wet, dirty and it's a nasty job getting in those hard to reach crevices and cracks! But when I used the Hurricane Spin Scrubber, I didn't get wet or dirty and my shower got cleaner than ever!! I will never clean bathrooms again with my Hurricane Spin Scrubber! 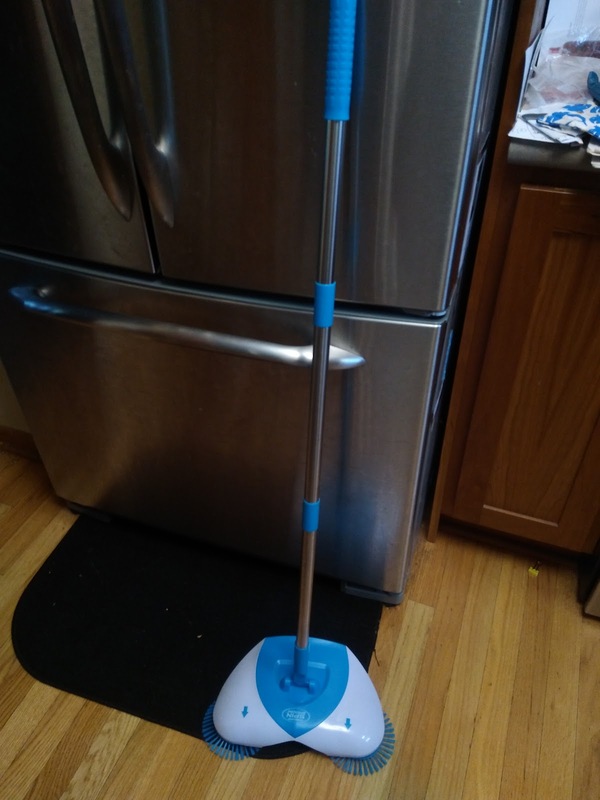 And for the hardwood floor areas of your house, try the Hurricane Spin Broom! Using a traditional broom and dustpan is backbreaking work. Not anymore! 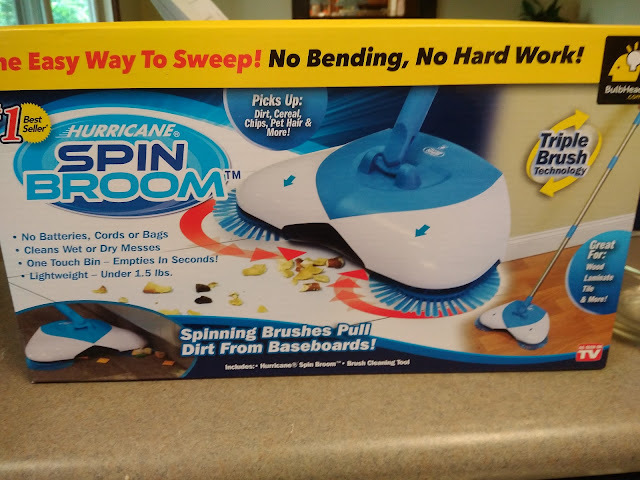 Introducing the Hurricane Spin Broom, from the makers of the best selling Hurricane Spin Mop! Hurricane Spin Broom is a cordless, lightweight spinning broom cleans up every mess with ease! The secret lies in the triple brush technology that rotates with cyclonic action. Just roll over the mess and it'll pull in anything in its path. Weighing less than two pounds, Hurricane Spin Broom can be stored anywhere. The no-touch, large capacity bin is built in and empties in seconds. Plus Hurricane Spin Broom's revolutionary swivel steering gives you incredible maneuverability. Hurricane Spin Broom's bristles are perfect for cleaning dirt and debris out of those hard to reach places, like grout lines or underneath your baseboards. Use Hurricane Spin Broom to clean hard woods, laminates, and tiles! I use this Hurricane Spin Broom for my preschool room where messes are a constant thing! It is easy to use and picks up things like rice, snack crumbs and so much off the floor with ease! And to help you get your house in the festive mood, try out Star Shower Window Wonderland! Star Shower has become THE top selling laser lights product in the country. 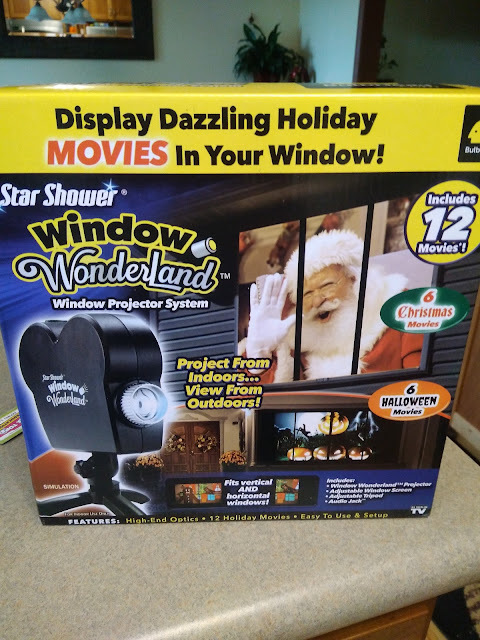 Star Shower Window Wonderland is a revolutionary projector that transforms regular windows into dazzling displays. Just place the projector near a window, hang the easy fit screen, select your movie and start the show. Bring your windows to life with an audio upgrade to connect to any speaker. This has been so fun to use on our main living room window and it really was easy to set up! Our kids love watching the little festive movies and I love getting into the holiday spirit!